Yesterday was National Pancake Day which is a completely awesome holiday! I mean, who doesn’t love pancakes? And to celebrate (a day late) I just had to find another pancake wedding cake to share with you. I love the idea of a non-traditional wedding cake, especially if you’re hosting a smaller brunch reception (or even a breakfast reception). While I love wedding cake as much as the next person, not everyone wants to eat cake for brunch. 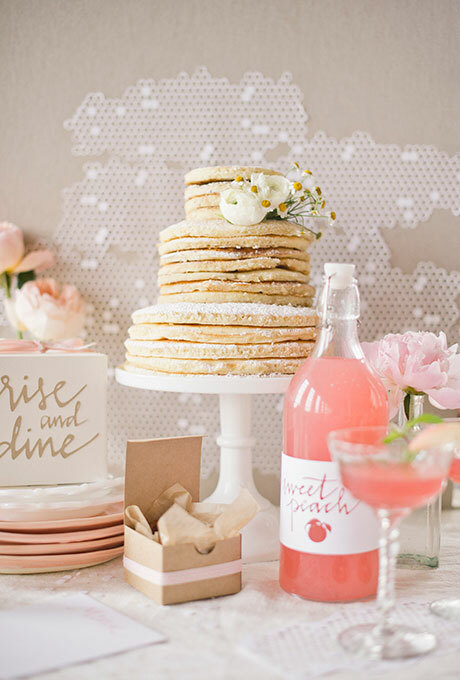 So why not considering a pancake wedding cake – maybe just for the bride and groom – and then offer guests a choice of assorted breakfast treats like doughnuts? 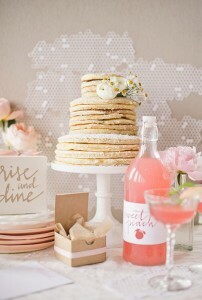 This is such a fun and creative idea and there are so many ways you can serve a pancake wedding cake. You could even have your baker whip up a crepe wedding cake! You can find this pancake wedding cake here. It’s from Sun in My Belly.